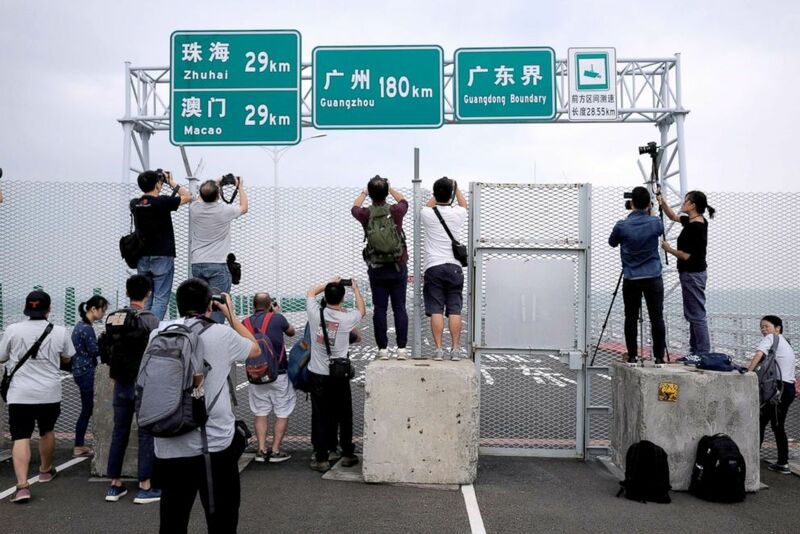 Members of the media take pictures on the Hong Kong side of the Hong Kong-Zhuhai-Macau bridge, Oct. 19, 2018, days before its opening ceremony. 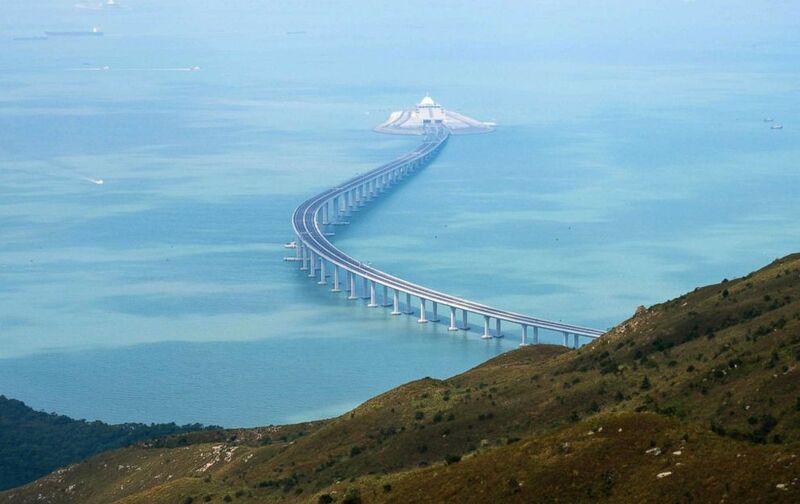 A section of the Hong Kong-Zhuhai-Macau Bridge (HKZMB) is seen from Lantau island in Hong Kong, Oct. 7, 2018. 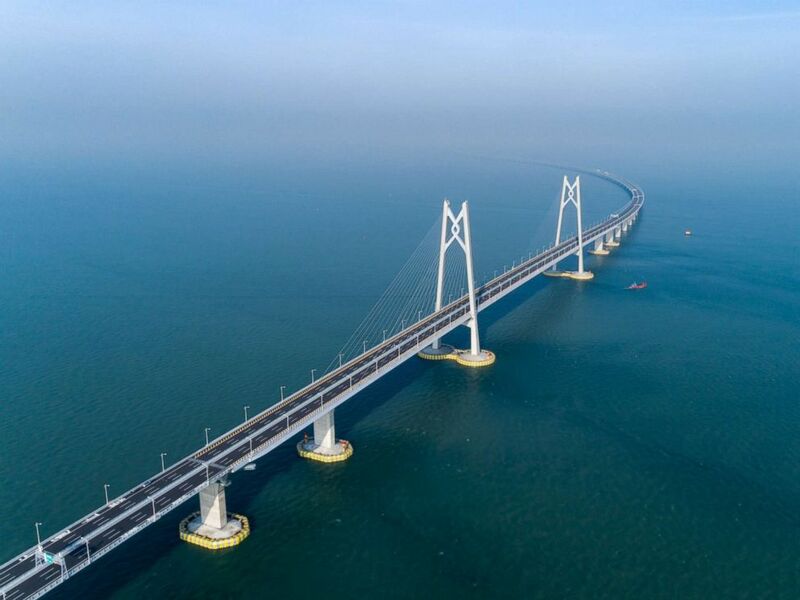 Aerial view of Hong Kong-Zhuhai-Macau Bridge, June 11, 2018, in Zhuhai, Guangdong Province of China. 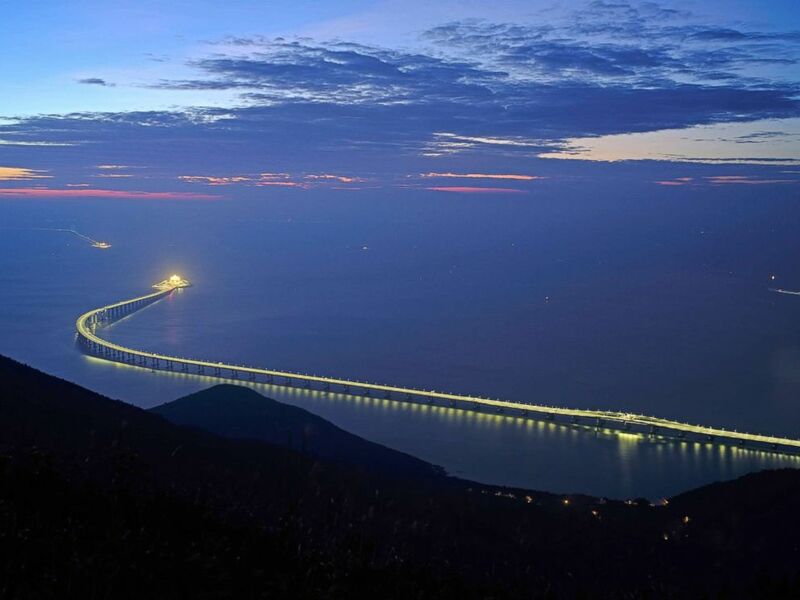 The Hong Kong-Zhuhai-Macau Bridge is lit up in Hong Kong, Oct. 21, 2018. 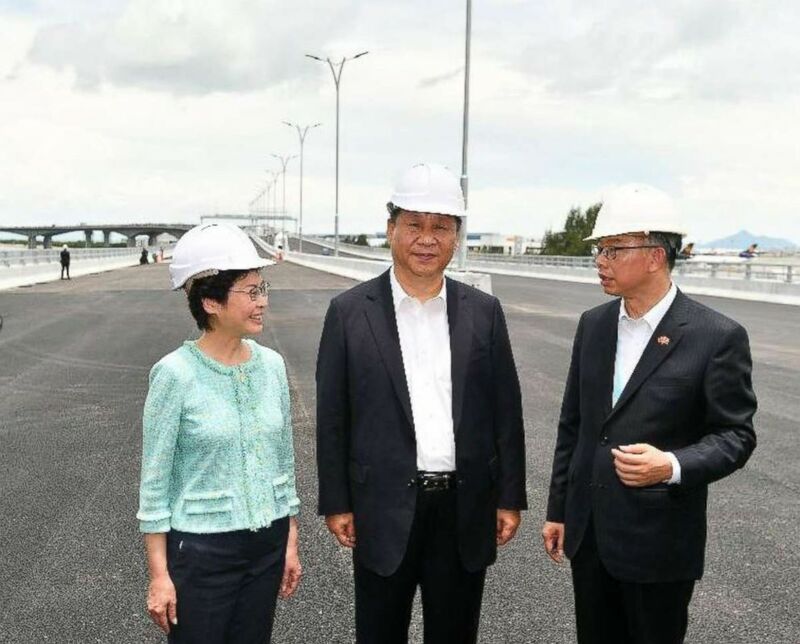 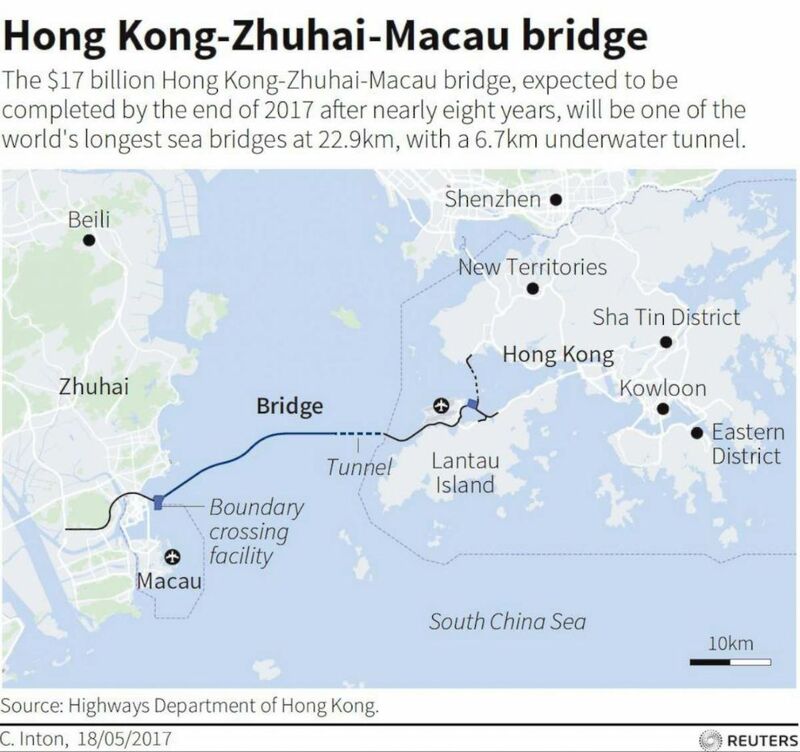 The bridge, the world's longest cross-sea project, which has a total length of 34 miles, will have opening ceremony in Zhuhai on Oct. 23.